Lisa Cermignano comes to SIG with over 20 years of collegiate coaching experience, holding positions at Wake Forest University, University of Maryland, University of Illinois, Vanderbilt University , The George WashingtonUniversity, Monmouth University, and Wagner College. 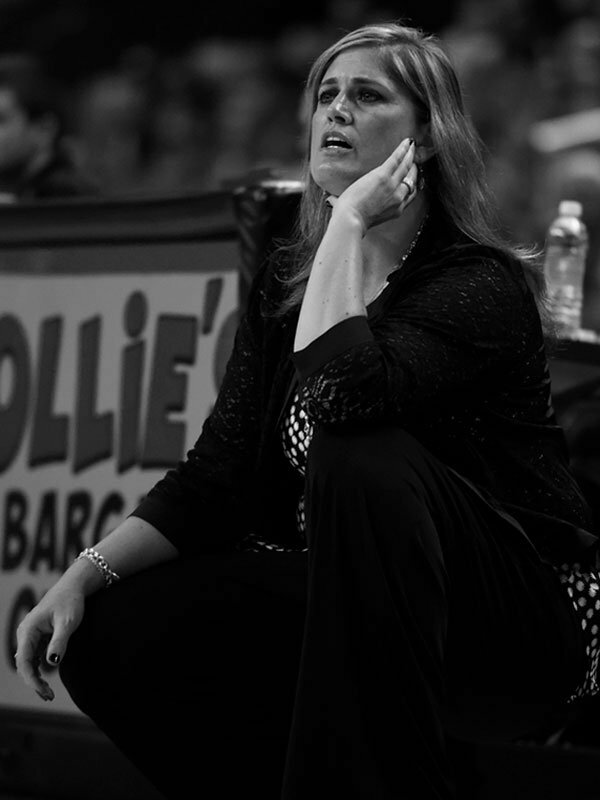 She served in various roles such as Director of Basketball Operations, Assistant Coach, and Head Coach. Cermignano played and graduated from The George Washington University in 1997, where she served as one of their most decorated players in school history. She was inducted into the George Washington Hall of Fame in 2008, following a career in which she led the team to four NCAA appearances, including a run to the Sweet 16 in 1995, and to the Elite Eight in 1997. A member of the 1,000-point club (1,278), Cermignano was a three-year starter and a tri-captain for the 1997-98 season. During her four years of playing, the Colonials posted a record of 103-27. As a coach, Cermignano has been a part of the NCAA Tournament seven times. All told, she has been a member of 11 NCAA Tournament teams, including four Sweet 16’s (two as a player, two as a coach) and one Elite Eight (as a player). Lisa was born in Bryn Mawr (PA), however raised in the Philadelphia suburb of Mantua Township, NJ. She was a prep star and the NJ state Gatorade Player of the Year (93) at Gloucester Catholic High School (NJ), where she scored 2,063 points in her high school career, setting the school’s scoring record.